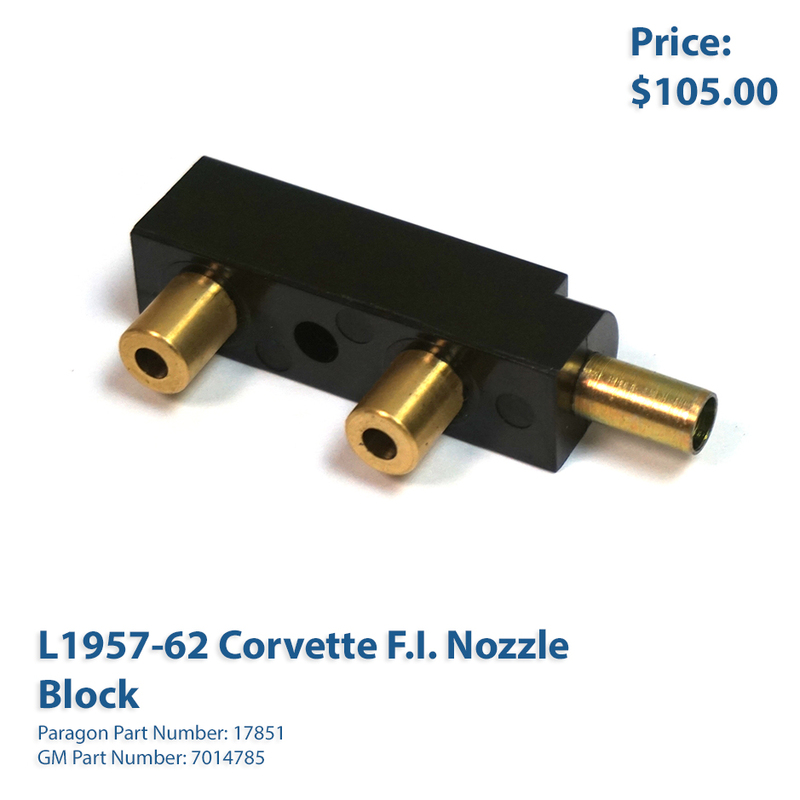 Now available at Paragon: Late 1957-62 Corvette F.I. nozzle block. 1957 #4800 & #4960 F.I. units. 1958-62 All F.I. units..
Order now via phone at 800-882-4688 or order online.